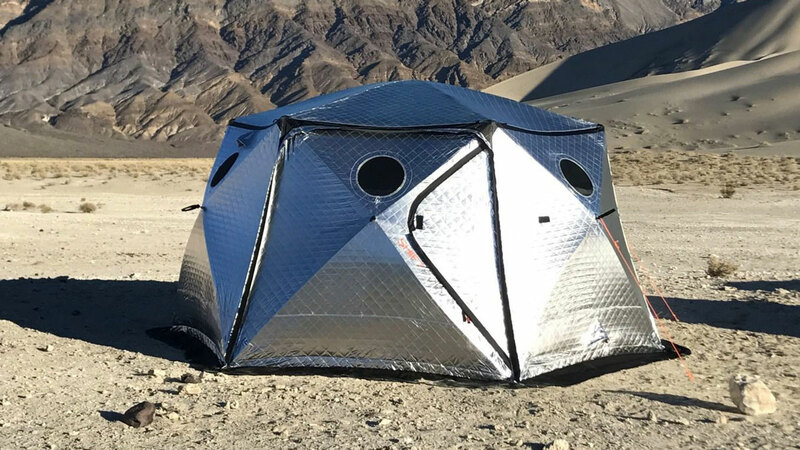 Think of Shiftpods as tents on Dark-Out super composite fabric. It's the steroids of the outdoor shelter world. 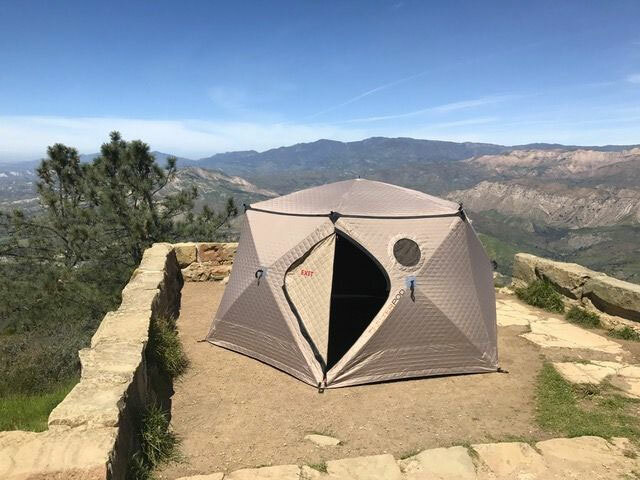 Shiftpods are quick-pitch geodesic domes made with synthetic down thermal insulation and ultra-reflective UV layers that serve as high-performance accommodations without taking up much more room than your standard canvas and poles. 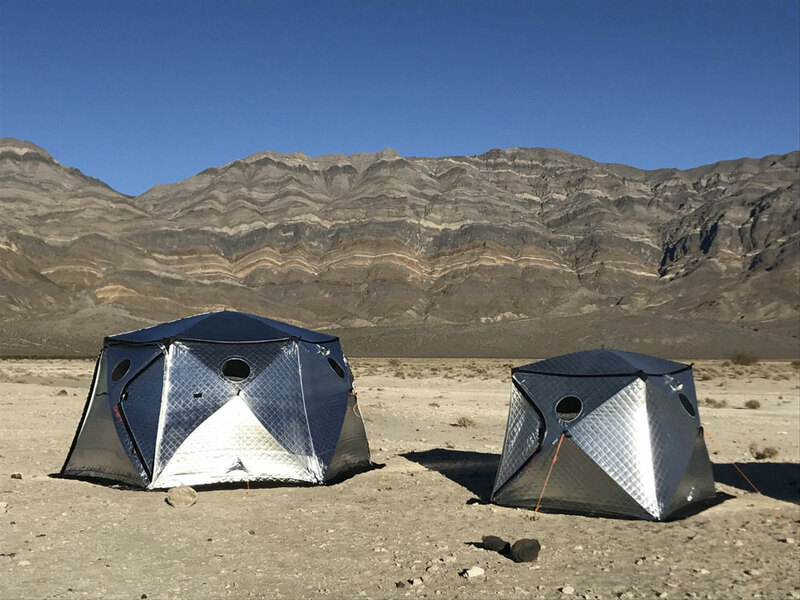 Advanced Shelter Systems sells their Shiftpods in 2.0 and Mini versions. Both feature the 7-layer Dark-Out fabric, which both reflect and block light to make it easier and more comfortable to sleep in bright sunlight. The Shiftpod2 has room for up to 6 sleeping mats that can accommodate as many 6'0" tall people. 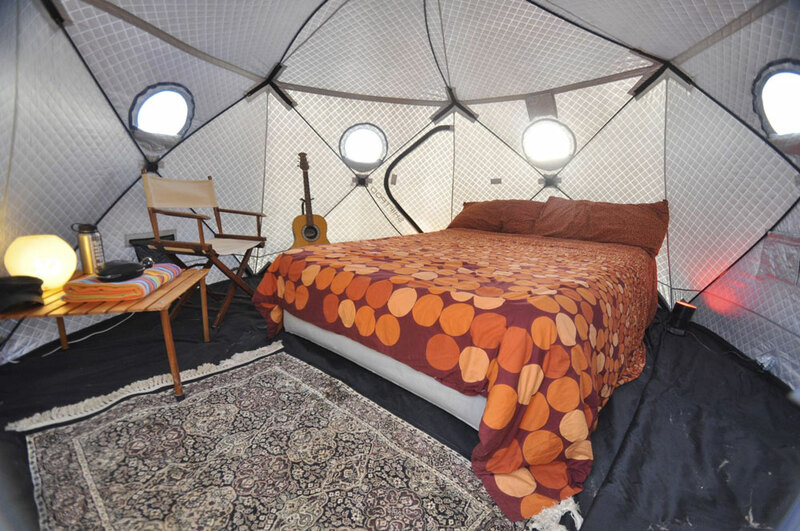 Or you can inflate a queen size airbed and a few furnishings to turn the pod into your movable vacation home. If you've got the need and the cash, you can buy a pair of Shiftpod2s and connect them with tunnels. 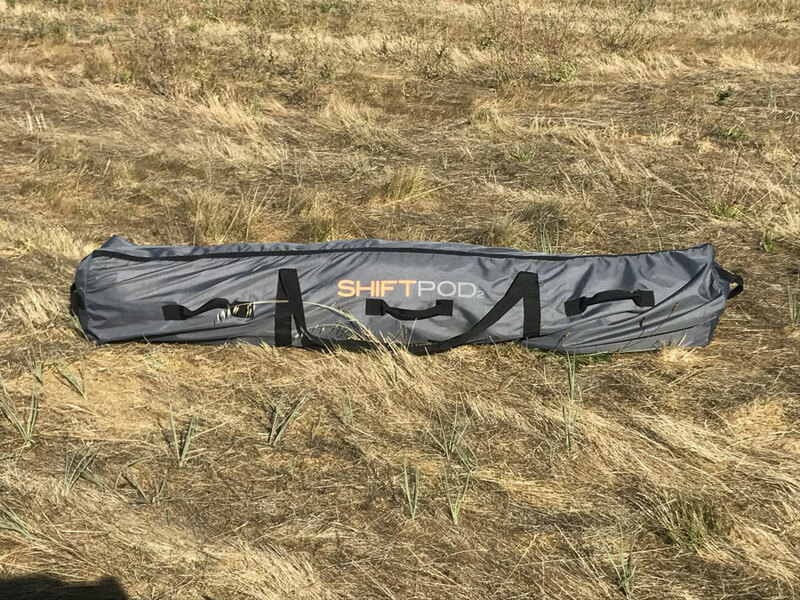 The Shiftpod Mini is a smaller and lighter weight version of the SP2 that packs down small enough for backpackers to carry with them. Muchas danke to Bless This Stuff.